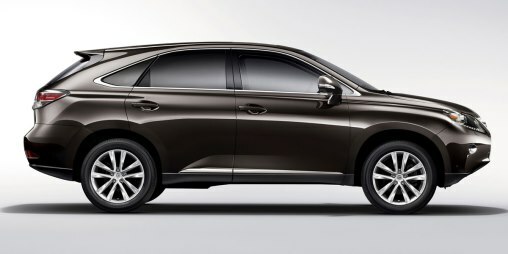 The current iteration of the Lexus RX (third generation) is one of the most sleek designs so far. The roofline goes back into a spoiler to the steep angle rear hatch. There is also a rising beltline and powerful looking fenders that project an athletic look. Some minor changes have been made to the 2014 Lexus RX like new LED running lamps,front bumper and taillights. The change that made the most impact was the front grille, which looked less powerful, than the new one that adorns the front now. Inside the new 2014 Lexus RX has no shortage of head and leg room for the passengers in the back. The rear seats also offer a 40/20/40 split (3 split). With rear seats up there is 1,138 liters of space and once you fold everything down, then for your cargo whether it be ski equipment or luggage, you will have approximately liters of room. In terms of cargo room of competitors compared to the 2014 Lexus RX, the RX has more room than the BMW X5, Audi Q5, Lincoln MKX and Mercedes M class. 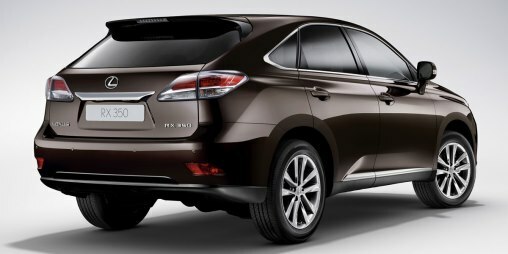 The 2014 Lexus RX comes in three trims. 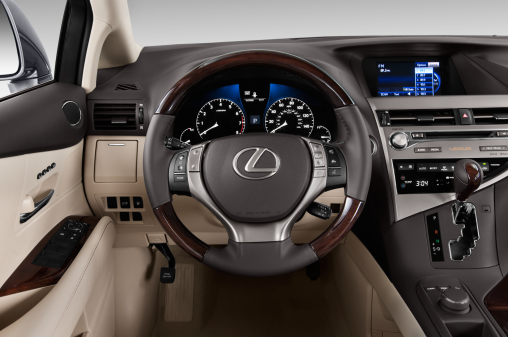 The base model starts with the RX350 at $46,000, then comes the F Sport at mid $55,000. The most expensive trim of the 2014 Lexus RX is the hybrid model coming in at $62,000. The base model comes with a good list of standard features. To get more you need to pay for upgrades. There is the Premium, Touring and Technology package that tops out at $60,000. If want a more sporty option then go for the RX350 F Sport series 1 with all the previously mentioned features plus full width spoiler, auto leveling HID headlights and 19″ F Sport allow rims and the F-Sport badge. The engine in the F-Sport is basically the same 5.5 liter V6 in the RX350. Nothing special as you are not getting any additional horsepower, with the F-Sport you are getting just more looks. However, it is a good thing that the 3.5 liter V6 puts out 270 hp and 248 lb/ft of torque, enough for passing as it is mated to an 8-speed automatic transmission (F-Sport), instead of a 6-speed transmission found in the base model. The base vehicle has fuel mileage figures of 11.8/8.3/10.2 L/ 100 km for both city and highway driving combined. The F-Sport trim with the smooth shifting 8-speed transmission does a little better in terms of fuel consumption coming in at 11.2/7.7/9.6 L/100 km combined. At the end of the day, you will have to love driving this SUV day in day out. What most people who test drive the Lexus RX finds is smooth electric power steering and good ride height and suspension well suited for daily driving.